Changing the color of the hair or making a pointy of the same can be tempting, but also a nightmare when approaching the wedding date. If you want to change hair color or simply tweak the roots, consider doing a whole week ago. Justin Anderson, celebrity colorist and creative director of dpHue advises: “For those who want to blond ash I recommend our Cool Blonde shampoo and a balm to tone down yellow tones and brighten up the blond. For other clients, I use a gloss and a treatment to nourish the hair and improve its vitality. The night before the wedding, use a moisturizing mask for hair in order to avoid the annoying frizzy hair effect on the wedding day”. 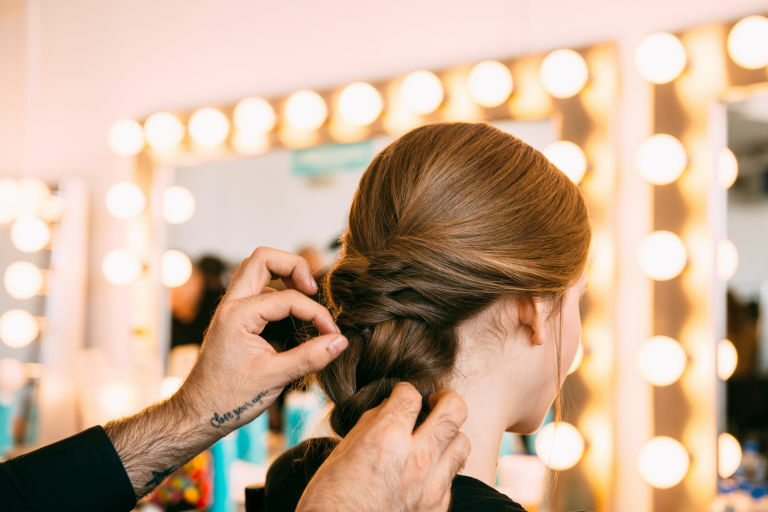 Although it may seem natural to wash your hair on your wedding day, Julien Farel, a successful hairstylist and owner of the Julien Farel Restore Salon & Spa, advises brides to do it the day before. “It’s always good to wash your hair the day before your wedding with a regenerating hair treatment. This will add shine, volume and vitality to the hair. I recommend using Hydrate Restore for the big day because it is very light and makes the color very vibrant”. The moments of excitement are inevitable on the wedding day, but it is essential to be as calm as possible when there is the hairdresser and the make-up artist. “Allow yourself all the time you need to solve any problem that may arise (such as, for example, the humidity in the air, the mascara that could leak, and the fact that you do not like your hair and so on). Those who work with you should have as much time as possible to do their job quietly,” says Janet Zeitoun, founder of Sotah Hair and hairdresser of VIPs. 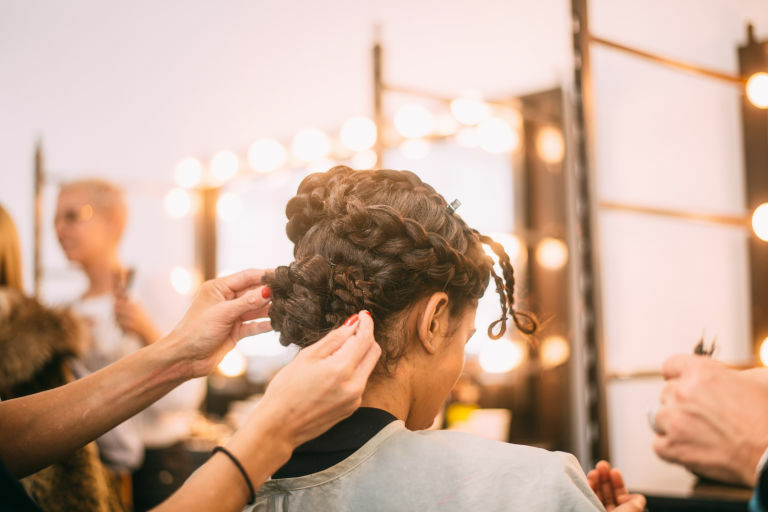 Kristin Ess, co-founder of TheBeautyDepartment and celebrity hairstylist, believes that the biggest mistake that brides can make is to get her hair cut on her wedding day. “Sometimes when the tips are freshly cut, the hair does not stand up perfectly as it should. They are soft and clean, which is fine, but a little ‘rest helps to keep the style better. I advise my spouses to cut their hair about 4/6 weeks before the wedding”. You may also like: Bride Hairstyles: What Flowers Do You Choose? If you still have a few months left to marry and you think that your hair might lose a little grit, then you should take biotin every day. 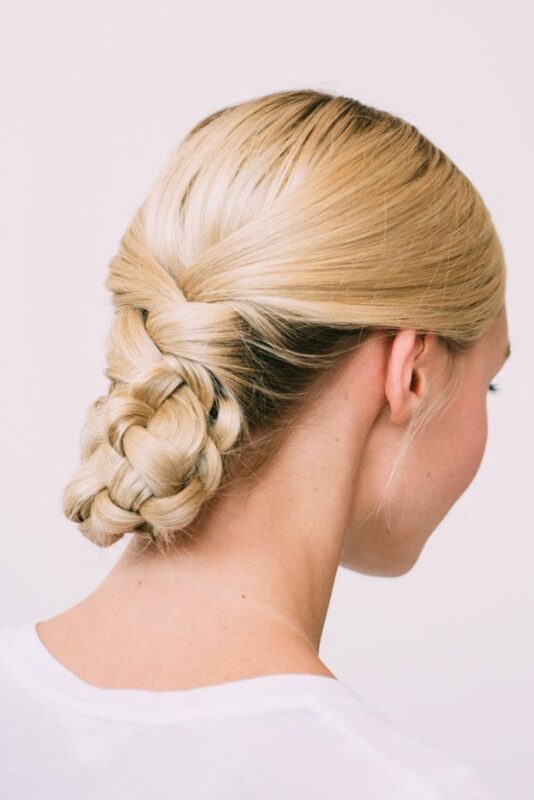 “Take biotin as soon as you start planning your wedding,” advises Whitney Olson, co – owner of RA_Bar Beauty. “It will be a great help in the growth of strong and healthy hair for all those who want to have bright on their wedding day”. The wedding day is certainly not the time to experiment with length, style or hairstyles you’ve never had before. The key? Have the best version of themselves. “I like looking at old photos of brides and choosing the hairstyle that suits them best,” says Ess. If you are thinking of trying curls, chignons, braids and so on, make sure that your hairdresser is using the right products for the hairstyle to last for as long as you need. “I love our Hair Crème Therapy: it’s a must when working braids, curls, chignons or you just want hydrated hair without weighing it down. It takes very little and lasts a long time,” says Zeitoun. Are you already doing the weekly mask for hair? Great! Now it’s time to use hair gloss. “When you go to your beauty salon, ask for a transparent gloss. 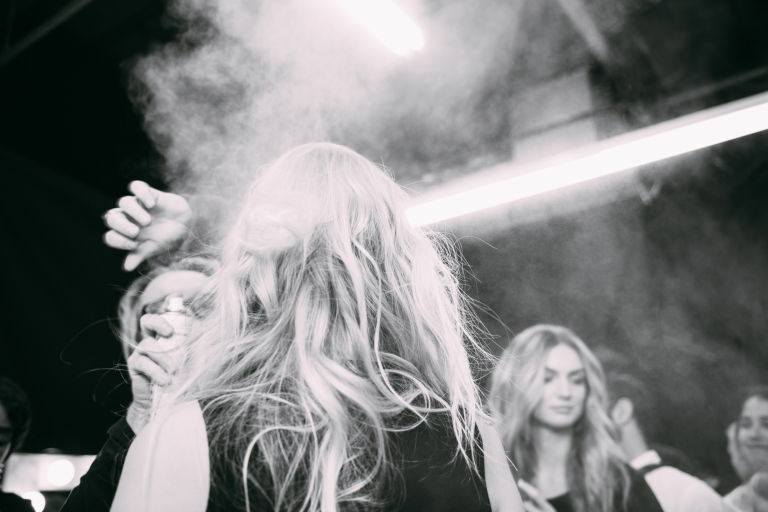 It takes about 25 minutes and you will have hair with a gorgeous shine for the photos,” says Olson. It is a classic of brides, who then often complain that they have chosen it! Use the flower chaplet for the bachelorette party, but not for the wedding, unless you have organized bohemian wedding. To use Ess’s words: flower wreaths are a telltale sign that you have spent too much time on Pinterest. If you have not booked a hairdresser for the whole day, make sure you have some touch-up products with you: pocket size lacquer, hair clips, comb to put in a bag that will keep the bridesmaid or your sister close at hand.